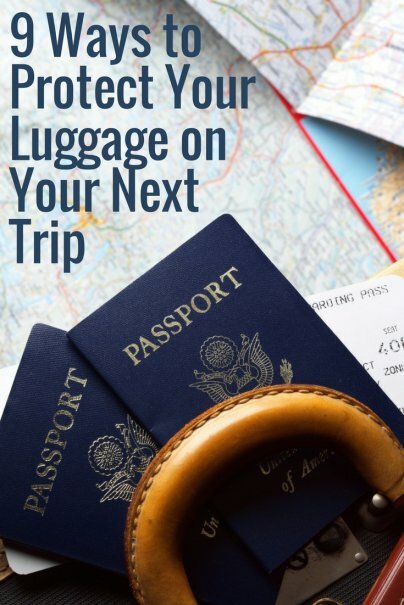 Protecting your luggage starts by selecting the right luggage. Hard-shell cases are less adaptable to pressure and can crack or break from rough handling and overstuffed baggage hulls. Soft-sided or nylon bags can handle impacts better. If you're worried about distinguishing your suitcase from all the others on the baggage carousel, customize it with a piece of bright ribbon, a scarf, or unique luggage tag. When it comes to luggage, don't worry about keeping up with the Joneses. Obviously high-end luggage is more likely to be noticed by thieves; not only because the bags themselves are valuable, but because expensive bags suggest expensive contents. Encasing your luggage in plastic cling wrap not only protects it from scrapes and scratches, it's a slight deterrent for the wide range of folks who'll be handling your bag on its journey. Keep in mind, the Transportation Security Administration (TSA) has the right to cut through any wrapping if an agent needs to inspect the contents. A bag protector is the commercial (and reusable!) version of plastic wrap. Made of durable PVC, these clear protectors fit over suitcases of various sizes and are secured in place with Velcro. They're designed to allow for free wheel movement and feature cutouts for easy access to handles. The UK-based online retailer, Firebox, distributes a product called Head Case, a line of stretchable Spandex sleeves that fit over suitcases. Similar to the bag protectors mentioned above, the sleeves offer a distinct advantage: They can be customized with a photo of your choice. By choosing a giant selfie, you can protect your luggage from theft while shielding it from damage (if you don't mind a few chuckles at baggage claim, that is). Snap a photo of your luggage before the first leg of any journey — especially international trips. Photos can help airport staff identify lost bags and facilitate communication between personnel in different nations. Even the most secure luggage tags can get torn off in transit. Put a duplicate tag inside your bag in case it gets lost at the airport and you need to prove ownership. Oh, and for personal security, don't list your home address or landline phone number on luggage tags; use an email address and cellphone number instead.